Ace of Cakes or Shark Tank = Student Voice and Choice? It's unusual to find a wall of tools in a bakery unless the bakery belongs to Duff Goldman of Charm City Bakery and host of Ace of Cakes on Food Network. Hold that thought, or those questions, please. On ABC's Shark Tank, hopeful entrepreneurs present their product ideas to the Sharks--self-made millionaires and billionaires who critique those ideas to determine if they want to invest. So what has any of this to do with student voice and choice? Well, plenty of schools have done variations on Shark Tank as way to get students engaged in designing projects. In fact, some administrators have found that inviting students to participate in proposing ideas for things that affect them--like classroom design--can be informative and fun, and quite the learning experience for the students. This was true in Chappaqua, NY when third graders got to propose designs for their classrooms. But how does this help students make connections in their learning? 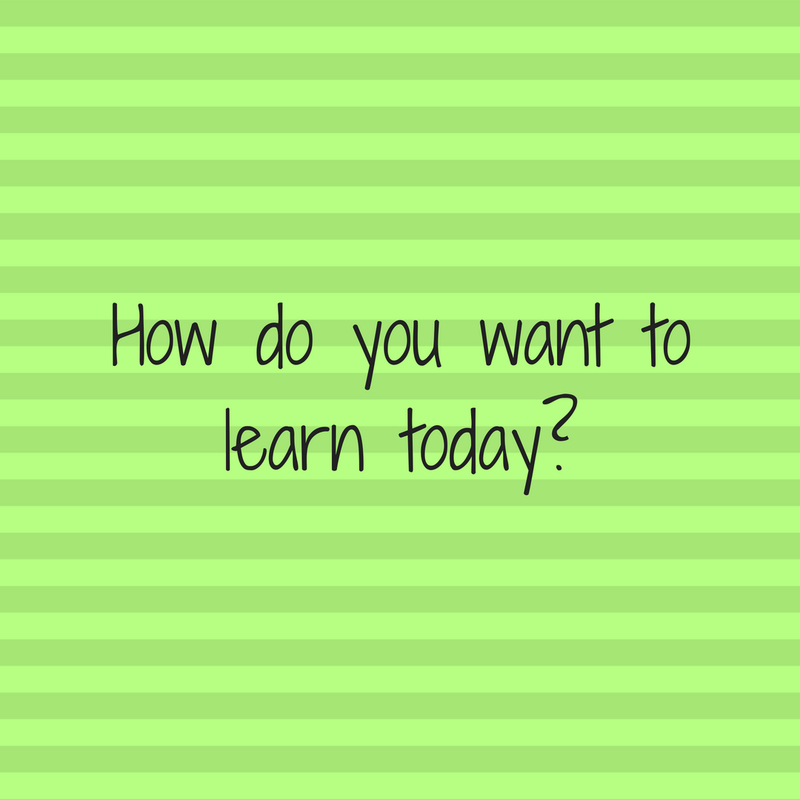 How does this help students connect what they've learned earlier in the school year or even in other grades with what they are learning and doing now? Shark Tank projects aren't new--check out this 2014 medical invention project--and can be a great PBL vehicle. I'm guessing most of that makes sense for student voice and choice: students are given some parameters and invited to pursue their completion of that project within the parameters and in ways that make sense to them. And, of course, TeachersPayTeachers has lots of suggestions and packets for teachers. Now, what does that have to do with Ace of Cakes? 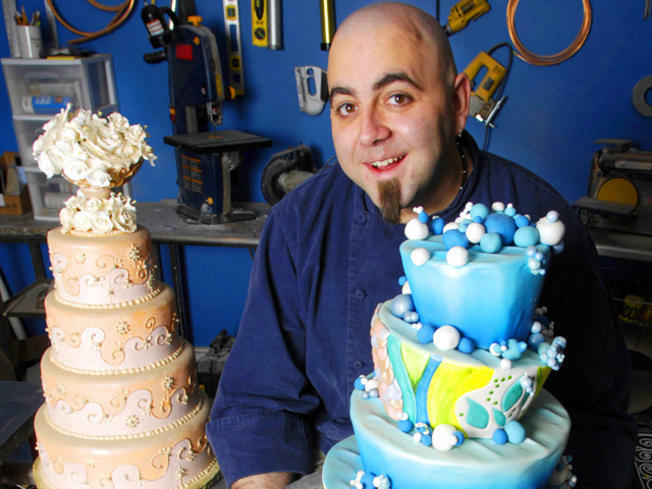 When customers approach Duff Goldman, they have an event for which they want a cake and they usually have an idea of what they want and don't want. After that, they leave it to the expert to figure out. No doubt there are budget parameters and there are, of course, time constraints. As with Shark Tank, Ace of Cakes could be a model for PBL. In fact, I can see how various shows can be creative springboards for students to showcase their learning. Those experience don't have to be limited to a specific project or problem, though I suspect teachers worry about how much time it will take to prepare this kind of a lesson event. Projects lend themselves to an approach like Shark Tank or even Ace of Cakes. But I can see how other such shows can be a creative springboard for teachers and students. Chopped is an intriguing STEM/STEAM vehicle. Students see what's in the basket and have a certain amount of time to create something specific or something in a particular content category. If there is a classroom or media center space, perhaps they have a sort of materials pantry for other resources they might need. Other teachers could be the judges or students could judge/critique each other's work. Unlike Chopped, students might create their own rubrics for their particular projects--it would be interesting to know what kids think is important. America's Got Talent could also be a STEM/STEAM vehicle. Perhaps students "compete" in like categories but that's not necessary and adds a level of complication. Not only do students present their "talent," but, again, they present how they think their work should be judged. 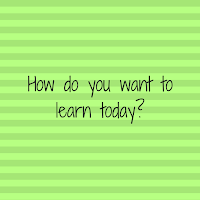 In my opinion, student choice and voice are really about these two questions: "How do you want to learn today?" and "How does this learning connect to anything else you've learned or are learning?" I don't think choice projects should be limited to big PBL events or one-time events, such as end-of-year showcase events. I think student choice and voice can and should be part of student learning throughout the year rather than a "one-and-done" experience. Now this isn't something you do the first few weeks of school though there is no reason you can't start moving to it right away. You first review the standards and learning objectives, perhaps go over any "I can" statements. You have a lesson prepared, of course, because sometimes students are just going to need you to direct their learning more specifically. As you acclimate students to being able to make choices about how they approach learning and show you not only what they've learned but how they learn, you can start with a choice board. There are zillions of examples of choice boards available, so try not to lose your mind finding one you like. Once students understand how choice works, you can give them options like a more traditional choice board and leave a "free" space so they can come up with their own approach. Don't be surprised if what they want to do is a mashup of some of the choices on the board. As students get older or just more experienced, you might offer a choice board as an option for those who struggle to come up with their own ideas. Don't be surprised if some of your second and third graders have some thoughts about how they want to learn. What we don't see in Ace of Cakes, Shark Tank, or any other competition/showcase show is any continuity, any connection with prior learning and I believe making those connections is important. 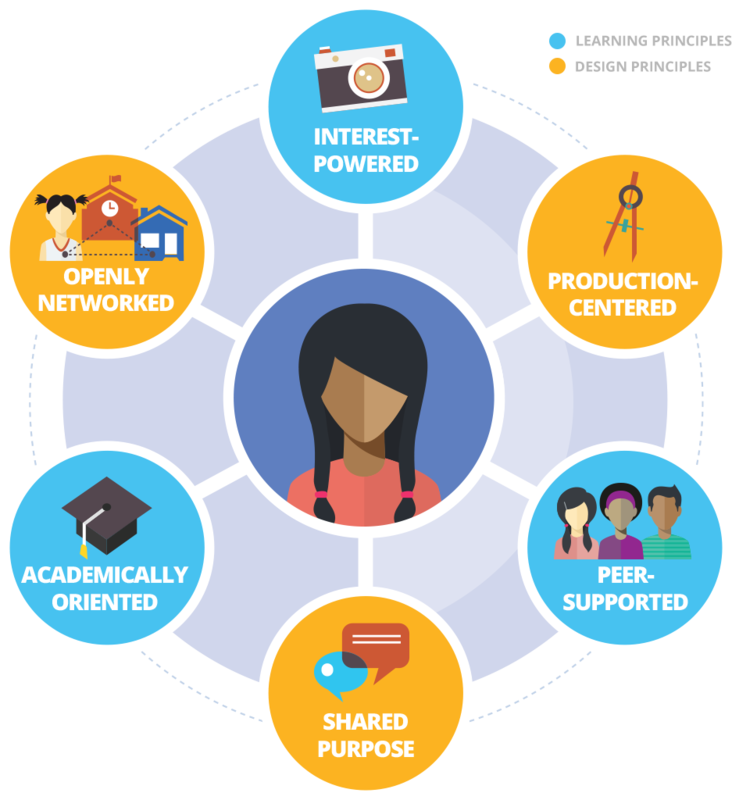 Not only does connected learning help students better understand how they want to learn, but it helps inform them how they could learn based on what they've already learn and what they've already done. Maybe they've discovered they do have a talent for writing so they like blogging, but they'd also like to improve their speaking skills so perhaps they'd like to embed a podcast in their blog posting. Maybe they've discovered they really like tinkering and problem-solving, so they want to do more building. I know it's a challenge to come up with ideas, so, as Robyn Jackson once advised, never work harder than your students. I think it's important to remember that most students want to learn and they want to be challenged. They do; they really do. We often hold them back because of the perceived amount of work for us, because we're afraid they won't achieve the standards, because we don't want to give up control. But students will often rise to the occasion when given the opportunity to express their learning in ways that make sense to them. Here's a bonus feature for you. Not only might you find that you have less work to do, but you will discover all kinds of things about your students. Not just how they like to learn and what they seem to think they're really good at. You'll learn what they're afraid to try and quite possibly why which will give you insight into helping them develop the skills they need to try something new or different. For example with that choice board. Perhaps each square is always a particular kind of activity: writing, video, game, flash cards, etc. Students will go back to what they like best or is easiest for them. When you record their work, you also record the approach(es) they took and one of your rules will be about repetition. 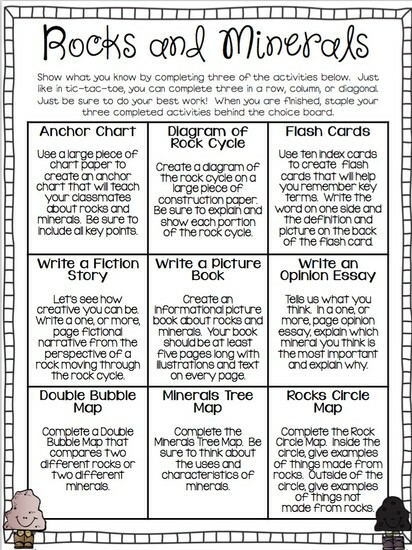 So in this Rocks and Minerals choice board they have to choose three activities. In the next choice board, they can repeat only one (or two) of those activity types. 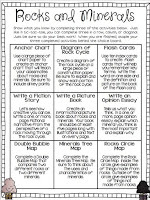 In their journal or agenda or whatever you call it, they keep the choice board graphic organizer with the three selected activities so it's easy, easy, easy for them--and you--to make sure they are trying at least one new activity type. That will help them learn how to step outside of their comfort zone but may also teach them how to take risks, how to persevere, how they are capable of more than they imagine, and so much more. 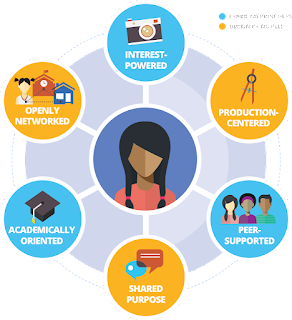 Not only does student choice enable students to voice their learning in ways that make sense to them, but such an experience provides a pathway for them to make connections in their learning and learn more about themselves as learners.